Languages: English, Italian, French, Turkish. My twin brother Rodney and I were born second last in a family of 7 children to Jamaican born parents, Kathleen and Alvin Kelly. Among the many sports that I played in both elementary and high school (from soccer to baseball, track and field to basketball), in volleyball I'd found something that was both fun and that I was good at, with which I could seek refuge from the stresses of my life. A few years later I would realize the importance of that choice when I was offered a sport scholarship to study and to play volleyball at the University of Winnipeg. Thanks to that scholarship, I became the first person in my family to attend University and receive a degree. 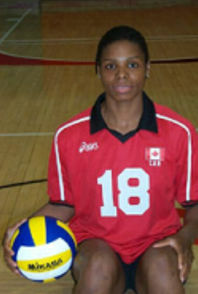 My volleyball career began late at the age of 14 at Daniel McIntyre Collegiate Institute (DMCI - High School). In the 3 years of Junior High School (Cecil Rhodes), there were always a large number of girls who came out to volleyball try-outs. In practises, that number became so low that it prevented our participation in the championship. An interesting fact, however, was that several years earlier after seeing me perform (badly) the few volleyball skills that I knew, my physical education teacher Mrs. Joyal, said to me, "One day you'll be a great volleyball player." What ever did she see in me?! At 21 years old, I had already become a strong hitter in position 4 and was invited to join the Canadian National Volleyball Team. With Team Canada, 1992-2000, I would gain valuable international experience by playing against strong European, Asian, and American teams. I represented Canada as one of the starting Power hitters in the 1996 Olympic Games (Atlanta, USA). Well known in the volleyball world for my notable power in attack, I am especially recognized for my spike serve (powerful, consistent, and very effective, even with the new volleyball rules). I began jump serving in 1992 thanks to Canadian National Team coach Mike Burchuk. With time and practice, I've perfected my rather unique style, making it more efficient as well difficult, for the opposing team. 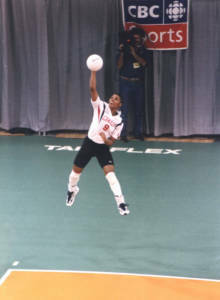 I played my first year of Professional volleyball in the 1996-1997 season in Istanbul, Turkey. 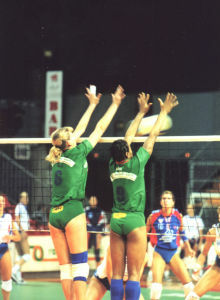 The next four years were played in the Italian Volleyball Championship League Series A (1997-2001). In the 2000-2001 volleyball season, I would be asked to play Right side. My talent as a hitter would show here as I quickly settled into the new role. I would remain a starting hitter for Team Despar Perugia for most of the season. My evident energy, speed, and fighting spirit, prove to be very important against the various attacks of the opposing team. **During my volleyball career, I've rarely been used for service reception due to my powerful back-row attack. 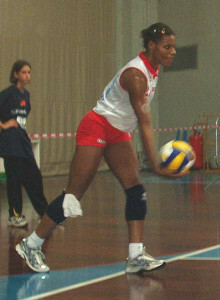 During the 1999-2000 volleyball season with Rio Marsì Palermo, I frequently had the opportunity to serve receive during the championship matches. In the 2000-2001 season with Despar Perugia however, even though I was not asked to serve receive during the matches (due to other optimal players at this skill), I would continue to practise it in training.